There is long touring reports in Japan. 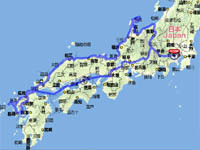 It's 3,400km touring report of Sikoku and Chugoku region. I have gone around the farthest point of Shikoku. 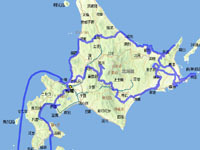 Shikoku is the big island of Japan. There are 88 temples, Shikoku Pilgrimage. 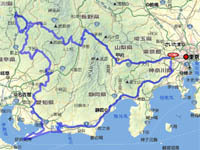 It's 1,250km touring report of Hida, Mino and Mikawa. I have returned home ahead of schedule, because a typhoon is on its way to Japan. It's 3,600km touring report of Hokkaido. The first half of touring was extremely hot. The second half, I have drived in a downpour. I have used trouble down the road. So I leave one day later. It's 1,000km touring report of Josyu and Shinsyu. The temperature difference is 28 degrees C!! There is many lingering snow alongside the street. 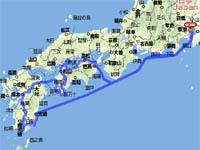 It's 3,500km touring report of Kyusyu region and Setouchi. The first half of touring, I have enjoyed the weather. But I have gotten rained on as I'm going Takamtsu. So, I have given up go Shodo Island. There are many railroad, shrines and temples photography. It's 2,600km touring report of Tohoku region. 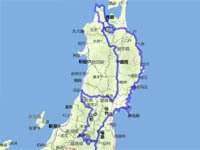 I have gone around the Tohoku region, Fukushima, Yamagata, Miyagi, Iwate and Aomori. It's 2,600km touring report of Hokkaido. I have driven along a country road that I haven't driven yet It's my first camping touring. It's 3,400km touring report of Sanin and Norty Kyusyu region.I have gone around the Noto Peninsula and have driven up to Kanzakibana. Kanzakiba is the westernmost point of the island of Kyushu, Japan. It's 4,000km touring report of Tohoku region and Hokkaido.I have gone to Oma cape. Oma cape is the northernmost point on Honshu island, Japan. I have taken a ferry across Tsugaru Strait. It's the third time around of Hokkaido touring. 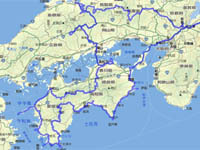 It's 1,800km touring report of around the Kii peninsula.First and last 2 days are travel days. So it's a short touring. It's 3,300km touring report of Hokkaido. It's the second time around of Hokkaido touring. I have gone to Cape Soya. Cape Soya is the northernmost point on Hokkaido, Japan. 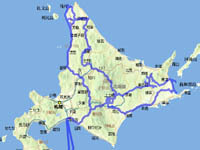 It's 2,100km touring report of Shikoku and Kyusyu region. It's 2,100km touring report of Hokkaido and my first long touring. Unauthorized copying and replication of the contents of this site, text and images are strictly prohibited. Copyright © 2006-2019 KaK.